Many of you would have seen this article that has been making its rounds. It is written by Amy Chua, a professor at Yale Law School. 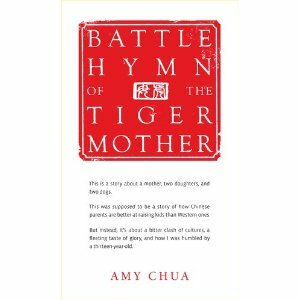 The article is an exerpt from her book Battle Hymn of the Tiger Mother. Much has been said about her extreme style of parenting. 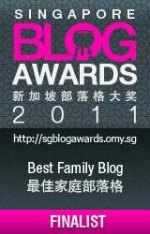 In Singapore, the overnight queuing to register children at a certain prestigious kindergarten also garnered much attention and debate. Recently, on this site's Facebook Page, I've had a lengthy discussion that has helped me clarify my own values, desires and beliefs on parenting. I am by no means done with this clarification process, being a mother of but 1 child who is only (almost) 16 months' old. I've summarized some of my discussion points here for your reading pleasure (and sharing of views if you wish!). The reality is that we are in a society that is competitive, and that there is little or no safety net should our children 'not make it' materially in life. To achieve material comfort later in the grown-up years, the most straightforward route seems to be to do well academically and with that, to proceed to get a well-paying job. If we were living in another country where there is a comfortable social welfare system, I'm certain that this will not be as big an issue! I want to expose Bubbles to the broad richness of life - to appreciate music, languages, sports, the sciences, and to observe her personal preferences and inclinations. I then want to encourage her to pursue what her natural strengths and and preferences lead her to. I want to understand her natural inclinations and guide her along those. I do not advocate lazyness so I will decide if more work needs to be put in and encourage her in that direction. This is especially so for core subject areas in school that we cannot run away from (like how I hated Maths but still needed to pass the exams). How this will be done remains to be decided, and also largely depends on how self-motivated she naturally is. I need wisdom to have the right balance so that I don't swing towards being too indulgent or have too low expectations as well! I agree that hard work is needed to achieve world class success. There is no doubt. Even the most talented person needs to put in a ton of effort and gruelling hours to achieve that. The question then is if we want to insist that our kids achieve that kind of world class standards and at what cost. For me, when it comes to sports and music, I am clear that I don't have the desire for Bubbles to be world class or even top class in school. But I would like her to be reasonably good at whatever she chooses to learn so that she is able to enjoy doing it, and her life will be enriched because of it. Studies have indeed shown that people are motivated when they can see that there is a possiblity of success. So perhaps how I would like to motivate Bubbles is to help her see that. At the end of the day, every parenting choice comes with a cost. What costs are we willing to bear? What a beautiful post. Very inspired by your thoughts. Thank you :) I hope I'll be able to live my words! A very thought evoking piece Corsage, thanks for sharing. Talk about extremities! I haven't read the article, but one thing that I thought, when I read your post, was that the thought process behind what you're discussing doesn't leave much room for God to do his thing. There are times when pursuing God doesn't look like success to the world, and it'll leave you dependent on others and Him. For that reason, I believe it's important for children to discover God's purpose for their lives and to help them achieve it. His purpose for them will be fulfilling, make use of all the skills/talents that he's given them, because he knows them much better than we do, and he'll provide for them in ways that we cannot imagine or replicate. My job is to figure out what that purpose is and to guide/equip them with the necessary tools and teach them God's values. Indeed! Something I'll have to refine and seek wisdom for every step of the way! Yes you are right. My points here do not address spiritual nurturing (although I touched on it when talking about costs I do not want to bear) because it is primarily in response to the article and views raised by others. You will know what I mean when you read the article! I'm pretty sure you'll have interesting views in response to it as well! Certainly I pray that my actions and parenting will help draw her nearer to and never away from God and His purposes for her life! In Australia, forums are highly popular mediums. 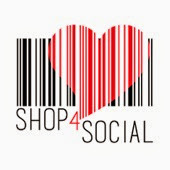 You'll find every other one of us here are very active members of at least 1. And not surprisingly, the article has found its way there and is currently being vehemently discussed. And I did a bit more than just 'thinking' . 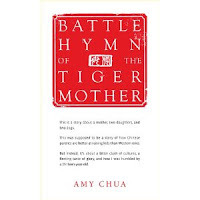 I am just about to click on "buy" for 'Battle Hymn of the Tiger Mother'! oh, what have u done to me lady! 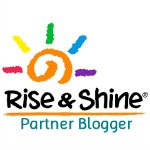 Thanks for sharing your views, and that article too! It really was food for thought. I think ultimately there is a fine balance to strike, which is not easy. I would think (call me idealistic perhaps) that if we do train our children to know and love God, other things (education/values etc) will fall into place. At least that is my prayer every day, as each toddler temper tantrum reminds me I am totally not in control! Thanks! :) I popped by to read the links you sent. It was quite heartening to read that a lot of the Aussie forumers tried to understand differences in 'culture'. There are indeed many videos, articles and interview write-ups stemming from the publication of that article! Yes you and the one of the above commenter (Po Li) have brought up important reminders to raise our children to love God and to fulfill God's purposes for their lives :) If His purpose is for them to be something that is not what the world deems as successful, may He grant us wisdom to be supportive and loving parents!